Ready to stick with a low carb diet? 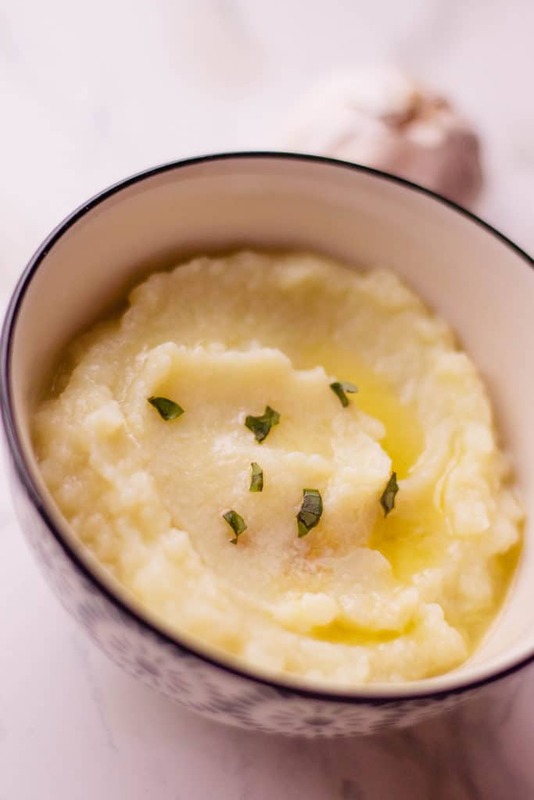 You’ll want this Garlic Mashed Cauliflower recipe printed out and turn to when you are craving those starchy potatoes! Are you getting started on a low carb or keto diet? If you answered yes, check out my post on How to Get Started on a Keto Diet. There are some important things that you must know and I recommend doing your very own research on the diet itself. For me, I stick with the Scientific Keto diet, which doesn’t involve “fat bombs” or high amounts of fat. We are always adding new recipes that I am trying out, so be sure to check back often. 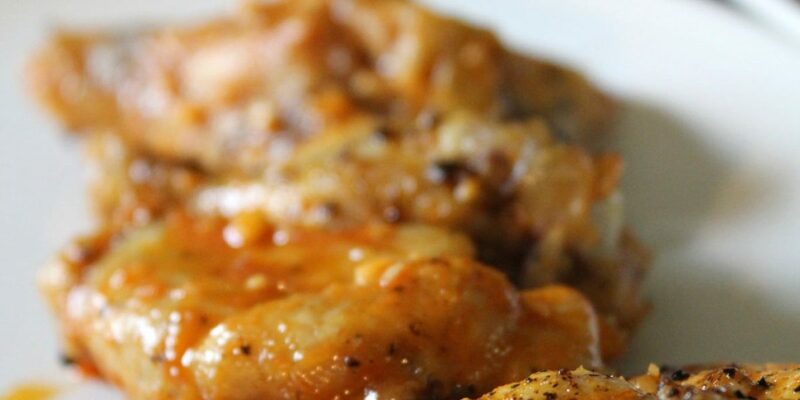 In the meantime, check out this recipe and the recommended recipes below! Can You Make Garlic Mashed Cauliflower Ahead of Time? This is such a great question! 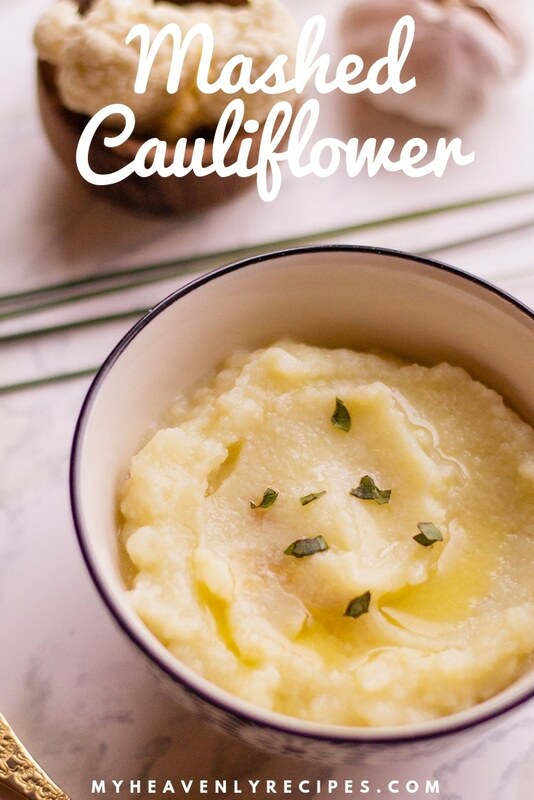 If you are looking to serve this mashed cauliflower at Thanksgiving, Christmas Dinner or a keto friendly dinner party, you can make these ahead of time! 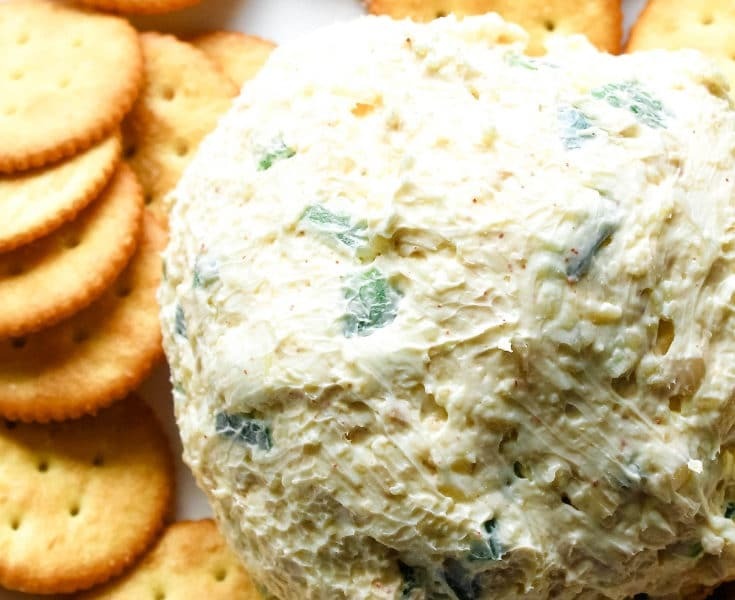 I would suggest making this recipe no more than 3-4 days ahead of time. It’s also very important to keep in the refrigerator in a air tight container. 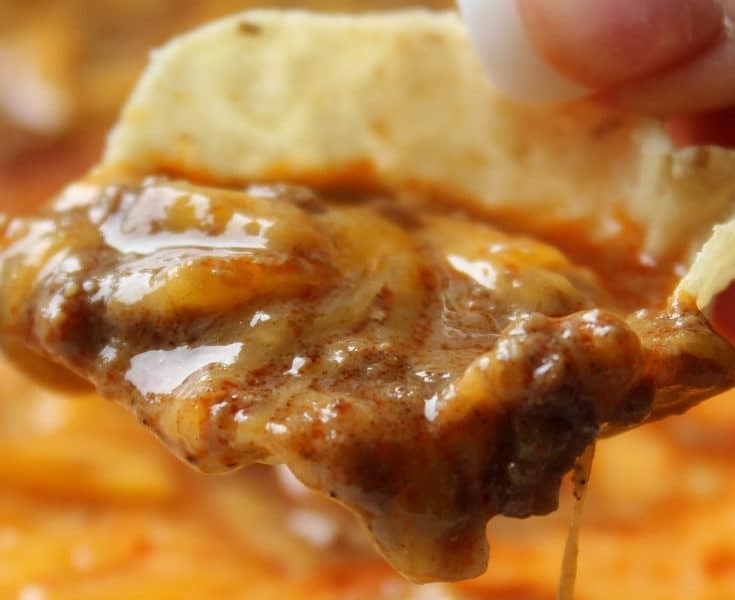 When re-heating, you can do this in the microwave or in a pot on the stove over low heat. During the re-heating process the mixture may become a little dry. If this happens, be sure to add a little liquid back in such as butter or olive oil. To honest this question simply, it’s all about the seasoning! You need lots and lots of seasoning to get rid of the cauliflower taste. That’s where the garlic, salt and pepper come in. Another trick is to use your food processor and to really get the cauliflower smooth for the right consistency and not over adding liquid to make it a runny soup like texture, but, to keep it thick like mashed potatoes. 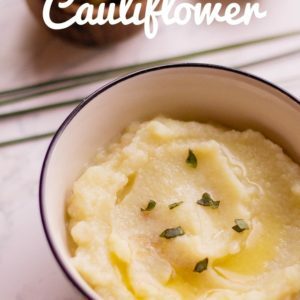 How do You Make Garlic Mashed Cauliflower? Step #1: Preheat oven to 400 degrees F.
Step #2: Trim off about ¼ inch off the top of your garlic. Step #3: Pour olive oil on top and wrap with aluminum foil. Set on a small pan and bake for 30 to 35 minutes. Step #4: Bring a large pot of water to a boil. Step #5: Chop cauliflower into florets and boil on medium for 30 minutes. Drain in a colander. Step #6: Using a food processor, blend half the cauliflower and garlic on high. Once ingredients have reached a creamy consistency, transfer into a bowl and do the same for the next half. (I suggest doing this in case your food processor is not large enough to fit all of the ingredients). Step #7: Add salt and pepper to taste, followed by melted butter. Serve in individual bowls and top with fresh basil. Bon appetit! 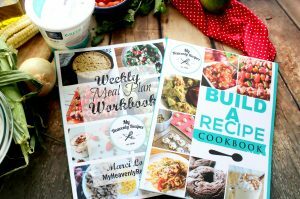 Looking for more Keto Recipes? 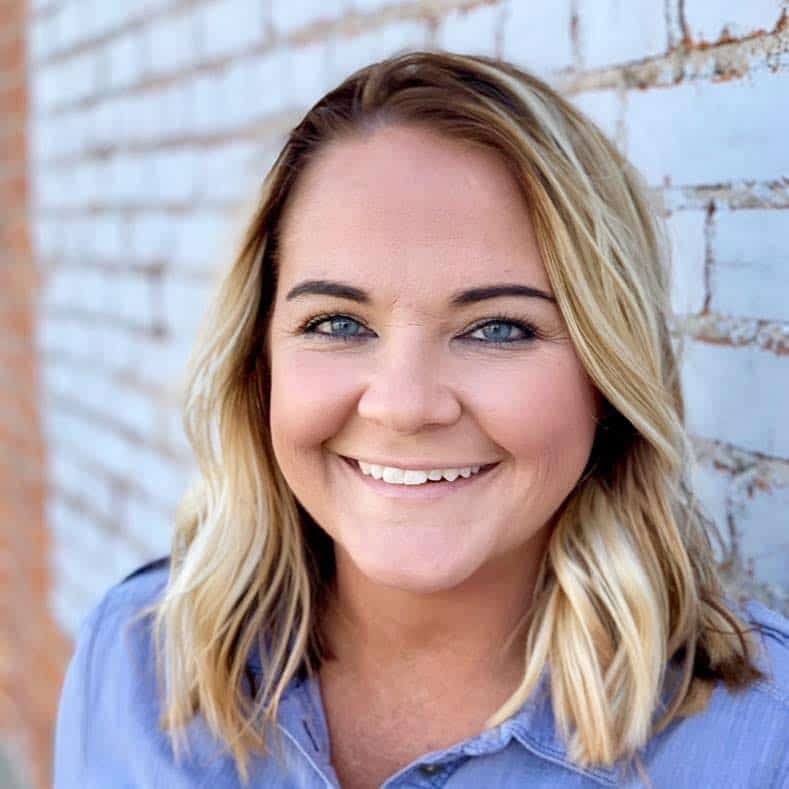 Check out KaseyTrenum.com for lots of delicious low carb and keto recipes! 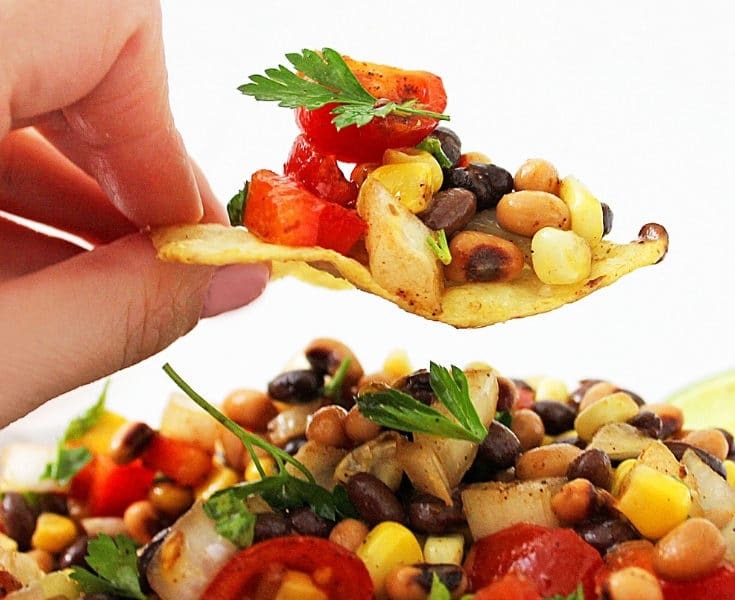 Ready to nail the low carb diet? You need this Mashed Cauliflower recipe to fall back on. You won't even miss all the starch! Preheat oven to 400 degrees F. Trim off about ¼ inch off the top of your garlic. 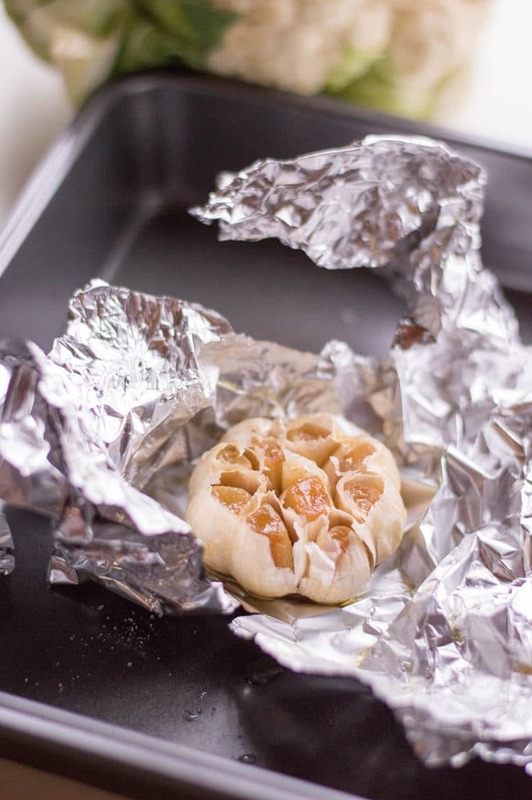 Pour olive oil on top and wrap with aluminum foil. Set on a small pan and bake for 30 to 35 minutes. Bring a large pot of water to a boil. 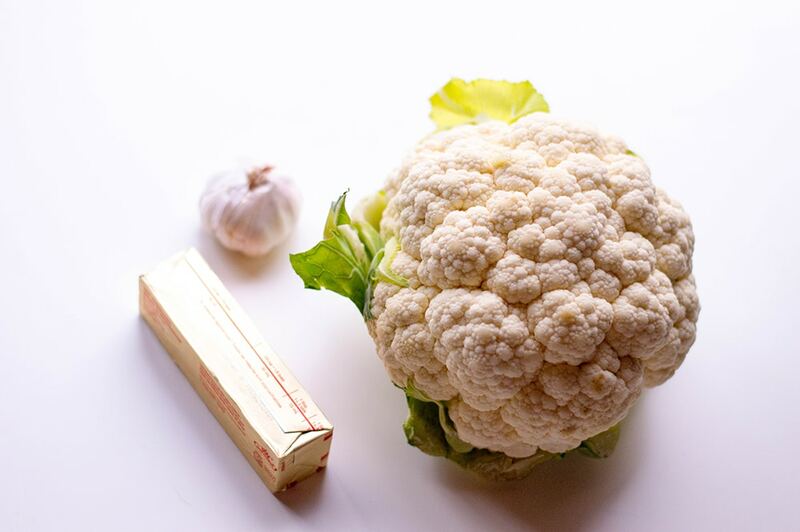 Chop cauliflower into florets and boil on medium for 30 minutes. Drain in a colander. 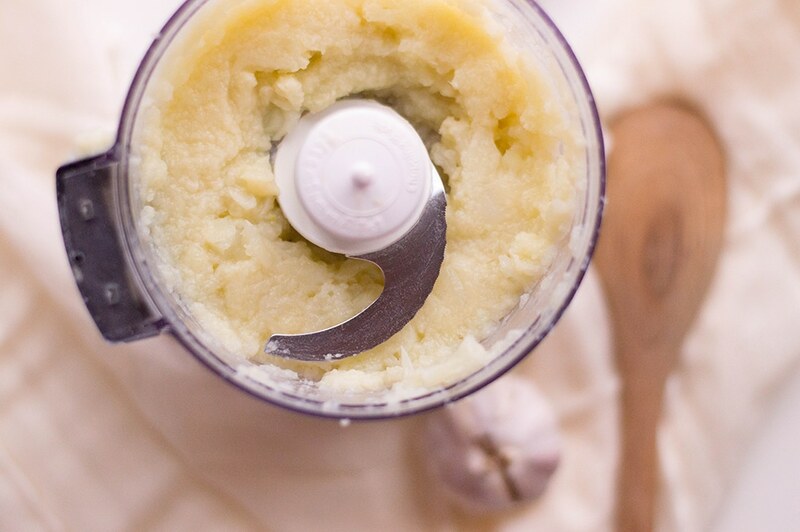 Using a food processor, blend half the cauliflower and garlic on high. Once ingredients have reached a creamy consistency, transfer into a bowl and do the same for the next half. (I suggest doing this in case your food processor is not large enough to fit all of the ingredients). Add garlic salt and pepper to taste, followed by melted butter. Serve in individual bowls and top with fresh basil. Bon appetit!